The Food Revolution Day (FRD) is a chance for people who love food to come together to share information, talents and resources; to pass on their knowledge and highlight the world’s food issues. All around the globe, people will work together to make a difference. Food Revolution Day is about connecting with your community through events at schools, restaurants, local businesses, dinner parties and farmers’ markets. 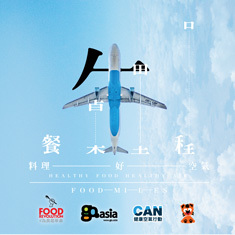 We want to inspire change in people’s food habits and to promote the mission for better food and education for everyone. 2014 年 5 月 16 日 ﹣121 個國家，總共舉辦了超過 10,000 項活動，同時打破了健力士世界紀錄™－ 成為「24小時內在全球不同地方最多人一起參與的烹飪課」! 19 May 2012 – Recorded 1,001 events took place at over 600 cities from 62 countries. 16 May 2014 – Recorded over 10,000 events took place around the globe from 121 countries, and we break the GUINNESS WORLD RECORD™ – for the “biggest cooking lesson in multiple venues over a 24-hour period”! The Twitter reach rose to more than 1 billion. 1.5 million signatures of our petition to get compulsory, practical food education on school curriculums across the world; over 8200 schools around the world joining in; more than 36 million hits for The Food Revolution Day song. 20 May 2016 – breaks the record for longest-ever Facebook Live campaign and reaches 115 million. 1.4 billion total Twitter impressions on the hashtag #FoodRevolution. 38.8k twitter posts using the #foodrevolution hashtag. Jamie films personal messages for eight world leaders. World Health Assembly event hosted by Jamie and other supporting NGOs in Geneva on 23 May results in six countries making SMART commitments. 2018 – Jamie Oliver announced the launch of #AdEnough campaign. Food Revolution became a year-round community Food Education program. >為什麼要進行這場革? Why have a Day of Action? >在那裡發生? Where is it happening?